On April 12, 1718, Blackbeard made a dramatic show of his ferocity and tenacity as he climbed the ranks of legendary pirates. The start to the story goes back a couple weeks. In late March, Captain William Wyer of Protestant Caesar of Boston encountered a small pirate sloop with 10 guns and about 50 pirates near present-day Roatán, Honduras. In the cover of night, the sloop pulled alongside Protestant Caesar and the two exchanged several volleys. The pirates called to Wyer’s crew to cease fire or they would give no quarter, but the fighting continued for hours until Wyer was able to get away. A week later near Belize, Blackbeard captured Land of Promises captained by Thomas Newton, with “a Pirate Ship of 40 Guns, and about 300 Men, and a Sloop of 10 Guns.” (Boston News Letter Jun. 16, 1718 p.2; interestingly this is one of the sources telling us that QAR carried 40 guns) Newton’s report of his capture to the Boston Newsletter bore some interesting news. Newton said Captain Edward Teach informed him that he and his pirate fleet intended to sail to the Bay of Honduras to burn Protestant Caesar so that Captain Wyer could not brag of besting a pirate once he returned to New England. It would appear the pirates Wyer and his crew encountered belonged to the fearsome rogue. The same Boston Newsletter report tells us that three days later, as the crew of Protestant Caesar loaded their ship with logwood, five vessels came into view – a large ship and a sloop bearing black flags and death heads, and three more sloops with bloody flags. Recognizing a pirate fleet approaching, Captain Wyer sent a scout to ascertain who, and when it was reported to be Blackbeard and his Queen Anne’s Revenge along with the sloop they had previously fought, all of Wyer’s crew abandoned ship, fearing they would be slaughtered. Three days later, on April 11, Blackbeard invited Captain Wyer aboard Queen Anne’s Revenge, promising he would do him no harm. Apparently believing the fierce pirate captain, Wyer obliged but quickly learned of their fate. Blackbeard informed Wyer that had they not abandoned their ship, the crew would have paid dearly for fighting the pirates weeks before. He then announced he would burn any ship of New England he captured to avenge the execution of six pirates in Boston. 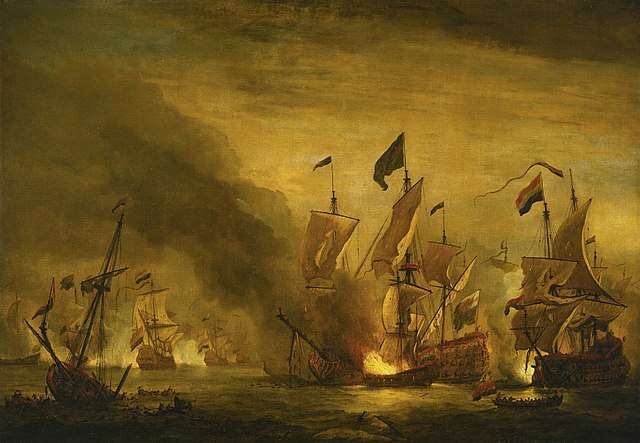 The next day, the pirates boarded Protestant Caesar and set the ship and all its cargo ablaze.